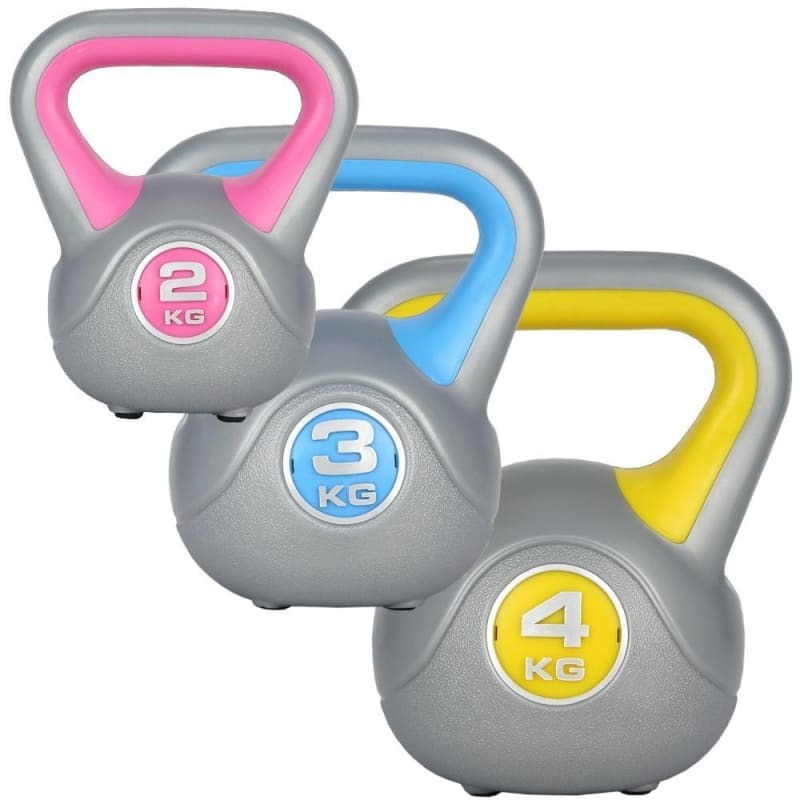 This vinyl kettle bell set includes a 2kg, 3kg and 4kg kettlebell. 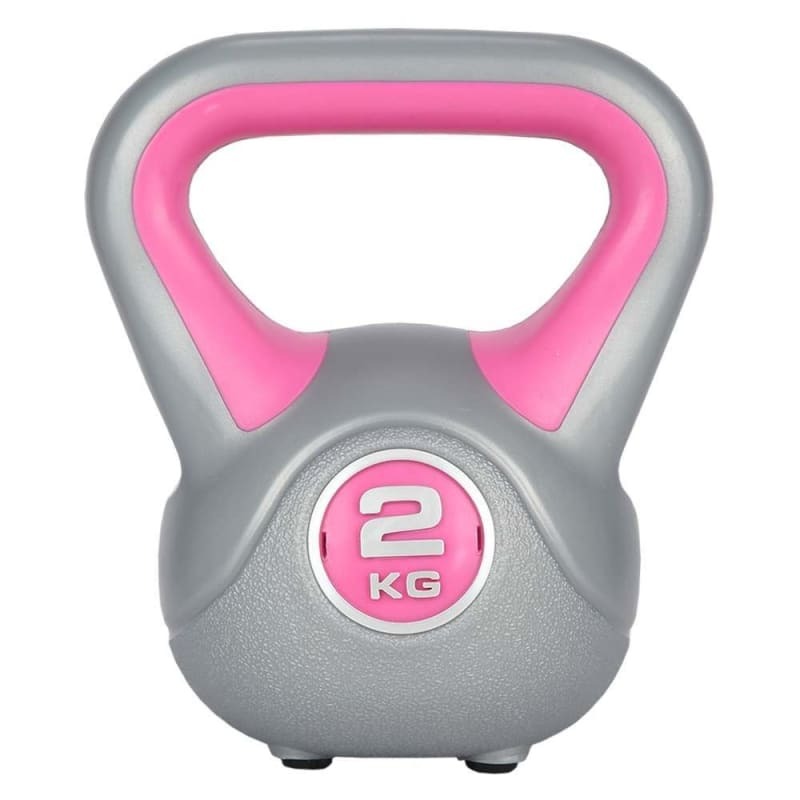 The vinyl coating helps protect the floor and reduce noises, whilst the ergonomically designed handle helps give a comfortable, secure grip. 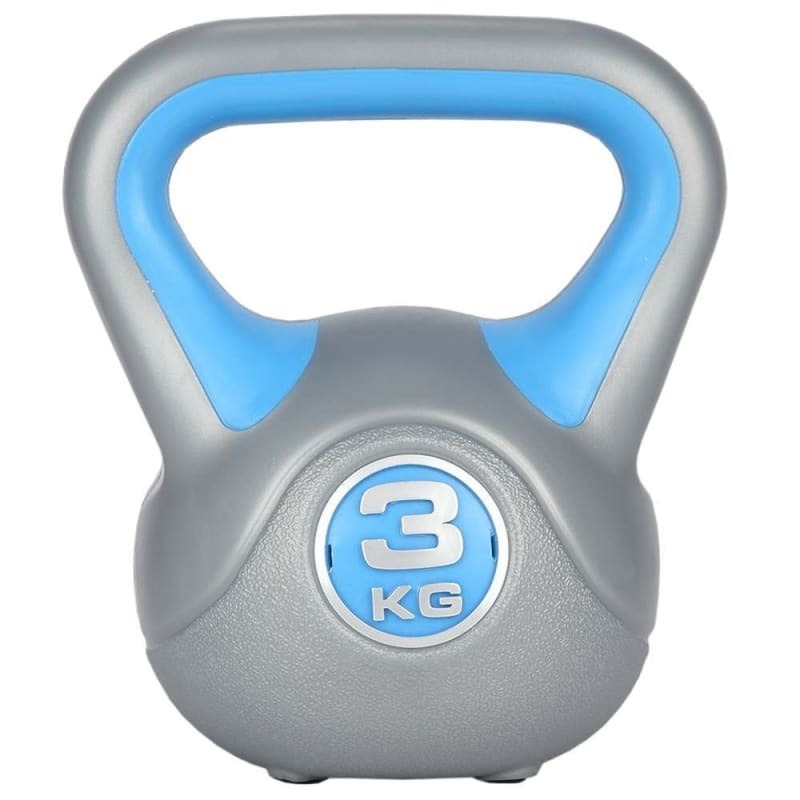 The anti-slip base helps keep the kettlebells in place when not in use, not rolling or sliding around. 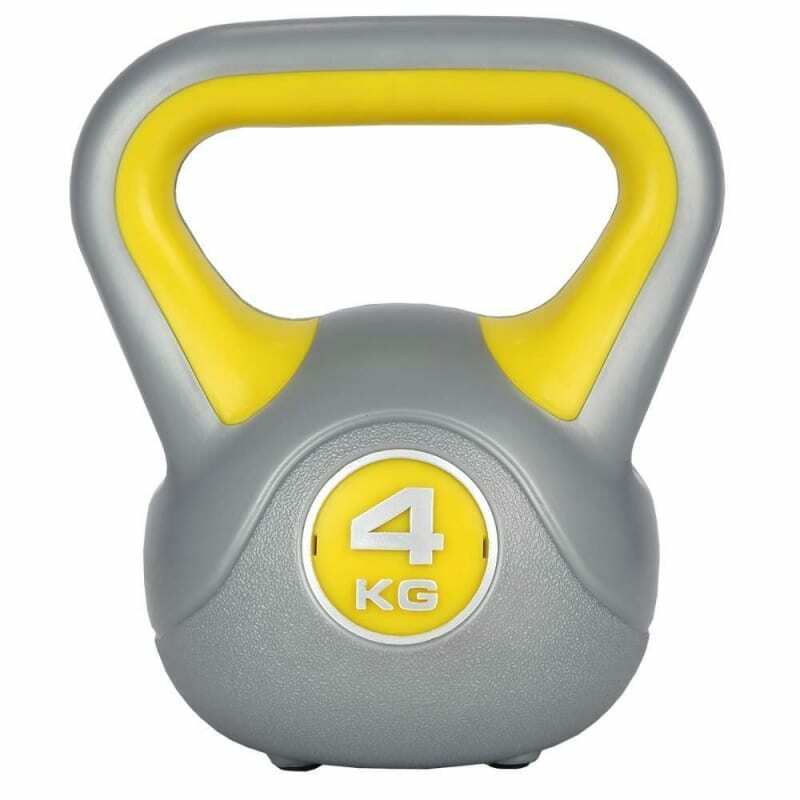 Kettlebell exercises can help lose weight, improve tone and strength, increase work capacity and power and so much more.